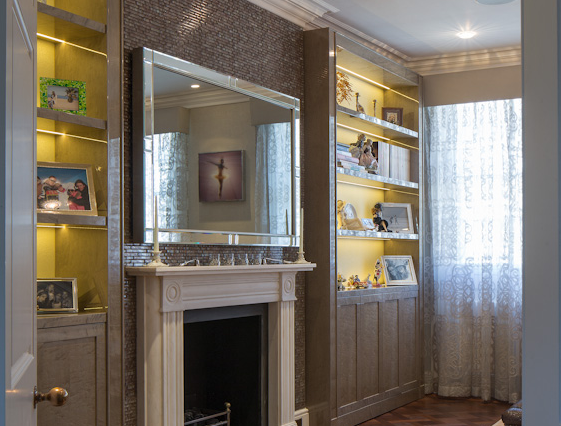 Fusion Mirror and Coloured Glass TVs are a luxury high end solution designed and built in the UK for the AV Specialist, Designers, Architects and discerning clients who want the very best from their hidden TV technology “without compromise”. Our specialist TV systems are solely made and optimized for sending images through mirror and glass surfaces. 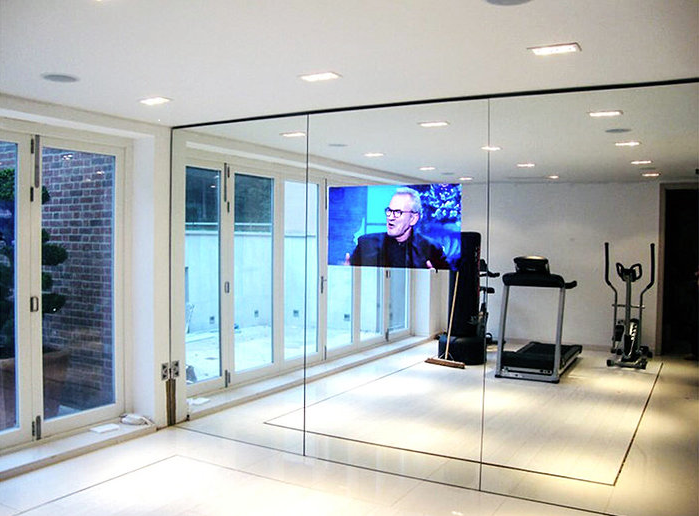 Add this to our Fusion Mirror and Glass technology gives a TV system that must be seen to be believed. offering superior image quality backed up with over 10 years experience and an after sales service that is second to none. “Custom Design” option. Choose your mirror size and shape even round or oval or a wall of mirror glass, TV size and where behind the mirror you wish the TV to appear. Choose from our exclusive Fusion Ultra - High Brightness Silver Mirror Glass for the brightest mirror available or Standard Mirror Glass for a slightly tinted mirror. These stunning high end Mirror TVs are a complete ready to hang solution suitable for in wall or on wall installation. Commercial Grade TV with RS232 Control making them compatible with all Home Automation Systems. Option to choose any frame in any colour from our Luxury frame Collection. Optional speakers can be connected direct to the TV. 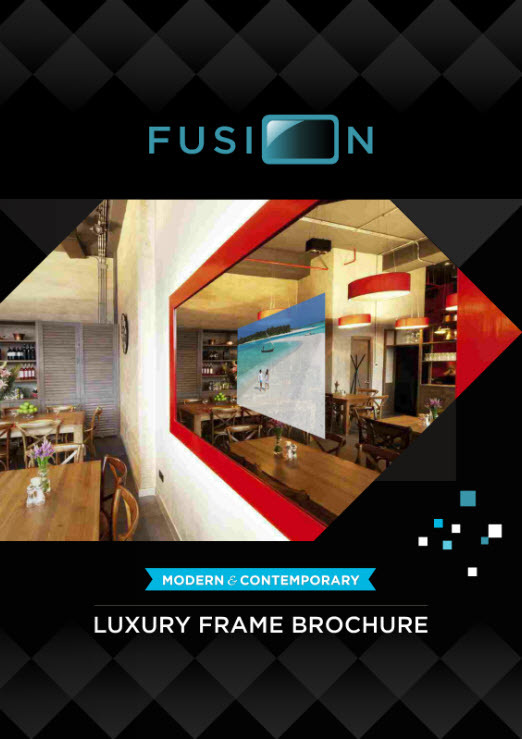 Enhance your Fusion Mirror TV with one of our luxury hand crafted picture frames. Choose from our Traditional range in a choice of colours and finishes to ultra-modern wood, painted, Gold and Silver leaf and mirrored frames. 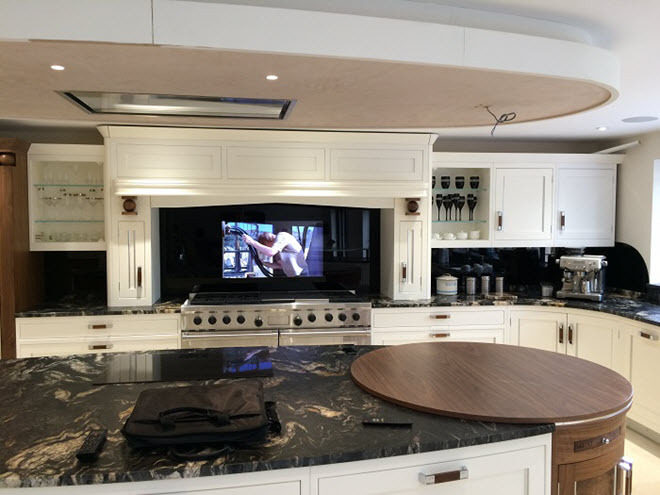 Alternatively, you can provide your own fabric for us to cover in or use our “Bespoke Service” for hand carved traditional finishes of your choice. 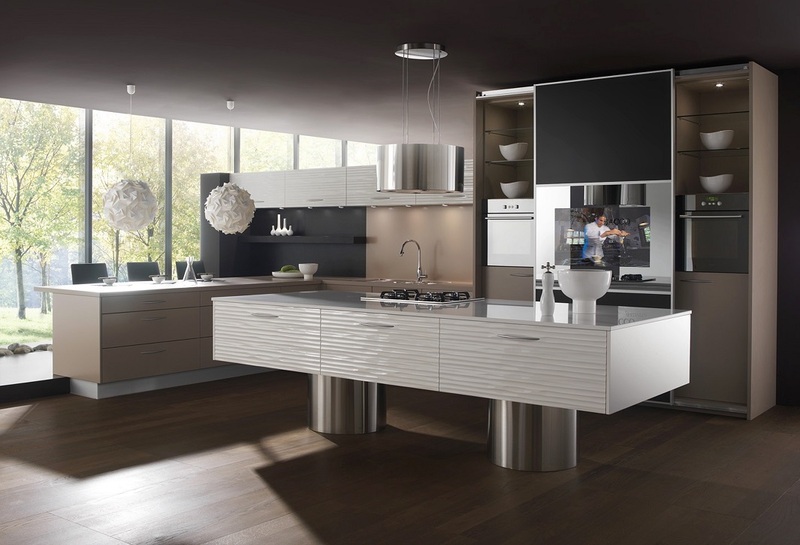 Whatever you choose you can be sure of our attention to detail and high standard of finish. Create the look you desire and enhance your TV with a frame. Designed not only for the harsh environment found in Bathrooms, Swimming Pools and Gyms these Commercial Grade systems are designed for any area where the mirror is to be fitted either in or on the wall giving a streamline flush finish. From a single mirror in the Kitchen to a wall of mirrors in a Gym, hotel or boardroom or even a luxury Yacht the possibilities are as limitless as your imagination. From a single mirror in the Kitchen to a wall of mirrors in a Gym, hotel, boardroom or even a luxury Yacht the possibilities are as limitless as your imagination. Various in wall mounting systems to suit your Installation. Available in Fusion Exclusive High Brightness Mirror Glass for the brightest mirror available or Standard Mirror Glass for areas of very bright light. Perfect enhancement to any kitchen. Why not add coloured Mirror Glass to your splash back to enhance your kitchen? Contact us today for more information on our Fusion Cupboard Door TVs. Cupboards doors take on a new meaning! Designed for in wall or on wall installation and with TV sizes from 19” to 82” our Fusion coloured Glass TVs will make a striking feature to any space. For an extra element to your design why not add one of our stunning picture frames? 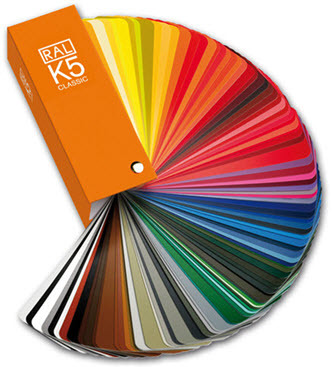 We can supply only or offer a full installation service. We are happy to work with your builders, Architects or furniture makers to supply any help, drawings or specification sheets to ensure everything runs as smoothly as possible. Whatever you choose you will always find our back up, support and after sales is second to none backed by over 10 Years experience. Visits to our office are strictly by appointment only - please call us if you wish to visit us. This is purely an office and we do not hold any stock here.